The cost of long-term care has made long-term care planning an important issue for many seniors and their families. In fact, most seniors will likely require some form of long-term care. Unfortunately, many of them are unprepared for the significant financial burdens it places on their finances, as the cost of care can range from $3,000 per month to in excess of $7,000 per month. The cost of long-term care can quickly deplete a person's life savings. Those who have purchased long-term care insurance have a degree of certainty and peace of mind. The cost of long term care insurance or the person's age or medical condition can keep them from being eligible for long term care insurance. If you have long-term care insurance, you should be aware of your policy's features, particulary the daily rate of coverage, the elimination period and the services that are covered. If you don't have long-term care insurance, don't despair as there are almost always options available for paying for the cost of care while still protecting a significant amount of your assets for your family. Medicaid is a joint federal-state program that pays for medical and nursing home expenses for aged (65 or older), blind or disabled individuals. Medicaid is the single largest payer of nursing home bills in the United States and serves as the option of last resort for people who have no other way to finance their long-term care. Although Medicaid eligibility rules vary from state to state, federal minimum standards and guidelines must be observed. While Medicaid eligibility for nursing home expenses was not overly restrictive in the past, there has been a trend towards more complex and limiting rules, the latest being the Deficit Reduction Act of 2005 which went into effect in 2006. These changes resulted in complex eligibility requirements for those in need of Medicaid benefits. There are regulations involving look-back periods, income caps, transfer penalties and waiting periods to plan around. 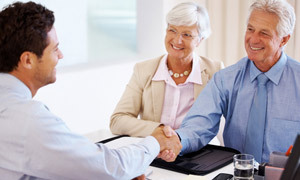 Our law firm has the experience and the expertise to help you develop customized plan to pay for your long-term care. Contact us to learn more and to begin the planning process. Dell Burtis Law is located in Tiffin, Ohio and assists clients throughout Seneca, Sandusky, Huron, Crawford, Wyandot, Hancock and Wood County, Ohio, with legal matters relating to Estate Planning (wills, trusts, powers of attorney), Elder Law (medicaid and nursing home planning), Business Law (formation, succession and purchases/sales) and Real Estate (titles, closings, agreements and easements).